SamenMarkt will be present at the HortiContact in de evenementenhal in Gorinchem from 14 till 16 februari. Visit us at stand number 482. 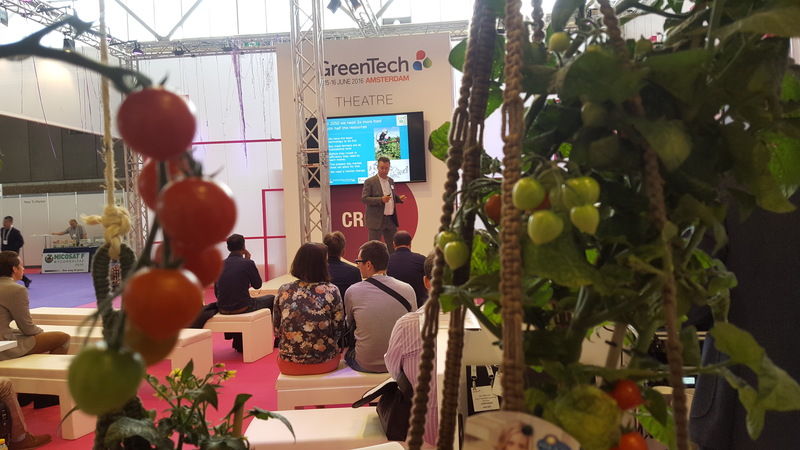 The team of SamenMarkt was at the GreenTech for three days to present the progress of the project to the interested audience. At this convention the trading game has been shown for the first time, that will be used to gather more knowledge in the near future. Furthermore, project leader Olaf van Kooten was invited to present the project to a large audience to spread the message of SamenMarkt. In the end, the convention was a very fruitful event! SamenMarkt will be present at the GreenTech Amsterdam with a stand in the InnovationLAB on the 14th, 15th and 16th of June. 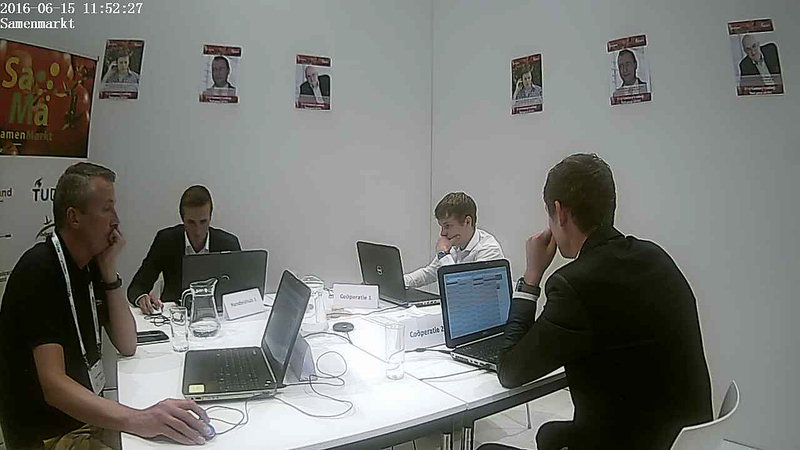 Several workshops will take place these days in which game simulations will be played. Come take a look at our stand in the InnovationLAB if you are interested in participating in a workshop or if you want to know more about SamenMarkt. It is also possible to let us know if you are interested in participating in a workshop by filling in the contact form below. Here is the video-clip of the traveling tomatoes where the history and possible future of the Dutch tomato market is explained. SamenMarkt dedicates itself for the development of the sustainable future of the whole glasshouse vegetable chain. SamenMarkt shall present itself at the largest horticultural trade fair in the Netherlands: the Horticulture Business Days 2016 in Gorinchem in a stand on Feb 16-18. Visit us in standnumber 454. 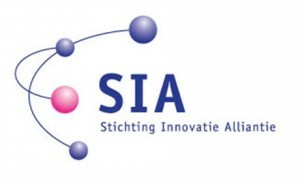 The advisory council of SamenMarkt meets again the 24th of November at the TU Delft in order to monitor the progress and provide us with meaningful information with which we can proceed further. The simulation is progressing steadily. The challenge now is to determine the factors which affect the price, how heavy they weigh themselves and how it depends on the circumstances.